For many of us living in apartments in California, we really have it good because we have the opportunity to take advantage of whale watching season. There is so much going on in the LA area and in particular there is a lot happening in San Pedro, California. If you really enjoy the sights and sounds of the whales and can’t wait to get out on the water again, you’re absolutely in luck because this season is just around the corner once again. 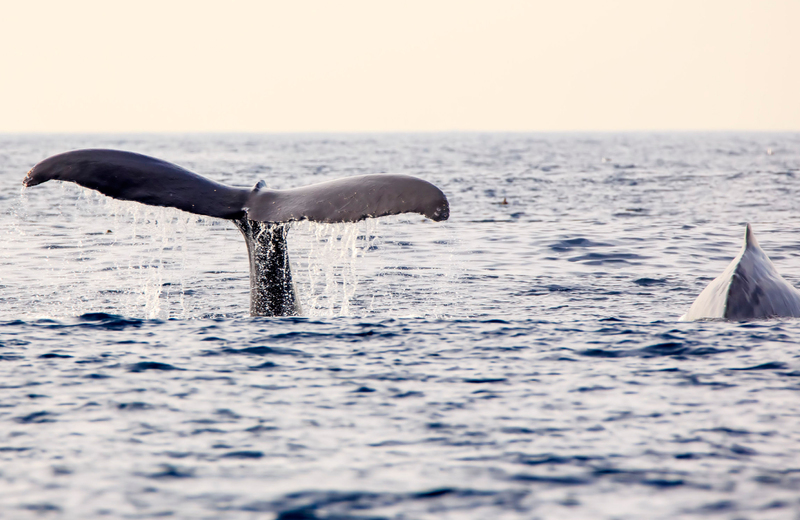 So, you could either attempt to take a boat yourself to check out the gorgeous whales swimming through the ocean, or you have an opportunity to go on a whale watching tour. However you decide to finally see these beautiful creatures, just know you’re in for the time of your life because you’re about to see this amazing species in all of its glory and it truly is marvelous. When Does Whale Watching Season Begin in San Pedro? The great thing about whale watching season is that it’s currently happening right now. In fact, it starts in January and lasts all the way until April every year. The cool thing about watching whales in San Pedro is you have the unique and wonderful opportunity to see Pacific Gray Whales and their migration patterns. All in all, 2018 is going to be an excellent year to see the whales in their natural environment. In fact, you’re going to see a lot more than just the Pacific Gray Whale, because you’ll also have the opportunity to see sea lions, dolphins, fin whales, blue whales, and gray whales with their calves when you go on a cruise, boat trip, or some other type of tour. If you don’t feel like getting out on a boat during 2018 season, you do have the opportunity to see them from the shore as well. You’ll need to go to the Point Vicente Interpretive Center to get a glimpse of these gorgeous creatures, but believe us when we tell you that the trip is totally worth it. You’re going to be absolutely mesmerized and impressed with these huge, beautiful, incredibly intelligent creatures. If you are truly a dedicated whale watcher and observer, you can pay close attention to the number of these amazing creatures you see, record their migrating patterns and behavior, and really get into tracking these amazing animals. In fact, if you’re really looking to have a great time, we highly recommend making an entire weekend of it. You can’t go wrong in this situation if you truly love watching the whales swim around and migrate to their next destination. Where Should I Go to Book a Whale Watching Trip? Carbrillo Marine Aquarium – 3720 Stephen M. White Drive, San Pedro, CA 90731 and their phone number is 310-548-7562. 22nd Street Landing – 141 W. 22nd St., San Pedro, CA 90731 and their phone number is 310-832-8304. Spirit Cruises – Berth 77, 1199 Nagoya Way, San Pedro, CA 90731 and their phone number is 310-548-8080. LA Waterfront Cruises and Sportfishing – Berth 79, 1150 Nagoya Way, San Pedro, CA 90731 and their phone number is 310-547-9916. Newport Landing Whale Watching – 309 Palm St. #A, Newport Beach, CA 92661 and their phone number is 949-675-0551. This location is just a short drive from San Pedro. While you are whale watching, you also have a chance to enjoy delectable meals at some of the finest restaurants in the area, stay in wonderful hotels if you’re making a vacation of it or a quick getaway, and ultimately take in the sights and sounds of San Pedro as you absorb this exciting experience for the first time or the hundredth. Keeping your distance – this isn’t going to be a problem if you are taking a whale watching trip with a professional tour company, but it could be an issue if you are chartering a boat on your own. Remember, whales are definitely curious creatures and they like to approach boats in the water. For your safety and the safety of this beautiful creature, it’s recommended that you stay at least 100 yards away to make sure nothing negative accidentally happens. Never attempt to swim with the whales – this should be a no-brainer for everyone, but you’d be surprised how many people think it’s okay to swim with these large, powerful creatures. Swimming is a bad idea for you and it’s definitely a bad idea for the whales as well. Your presence is going to cause them to modify their behavior from how they normally act and this could potentially put you at serious risk. Since all wild animals are unpredictable, you never know how these mammals are going to react when they see you in the water swimming with them. Do yourself a favor and avoid this situation because it may end up causing great harm and serious risk to you, your party, and the whales themselves. Take it slow while whale watching – if you do not take it slow, the odds are strong that you actually scare away the whales. So do not cruise the water at high speeds, and in fact the National Oceanic and Atmospheric Administration recommends you reduce your speed to less than 10 knots when traveling in an area populated by the giant mammals. Whale watching in San Pedro is definitely an experience you’ll never forget. Make the most of this amazing opportunity this year between January and April during this exciting season. It’s fun for you and the whole family, so take this trip as soon as you can.